Registration and use of this Web Site is free for all Alumni. This web site will help you to connect with your school, Old friends, Teachers and the Management. To get more from the Alumni we recommend you to become a life time member of the St Karen’s High School Alumni Association. (a) To nurture, rejuvenate and further the bonds of friendship and fellow feeling between the Alumni themselves as well as between the Alumni and the School. (b) To cooperate in a mutually constructive manner in order to further the principles of moral integrity, humanity, service and other such values which were inculcated in School. (c) To emerge as a socially productive organization and to actively engage in cultural philanthropic and charitable activities. (d) To inspire and motivate present students in ways, which will help them to achieve the ideals of St. Karen’s High School education and thus become useful and active members of the Alumni Association when they pass-out of school. The objects will be in the nature of directional policies providing guidance and direction to the activities undertaken by the Association. As such they will be constructed as inclusive and not exhaustive, when undertaking any activity. 1. A get together party organized (yearly) by the association, with date and venue informed to the member month before. 2. Felicitation of Senior Ex-students batch-wise i.e., every year one particular batch will be chooses and felicitated. 3. Felicitation of Ex-students with outstanding and exclusive performance in Social/Professional life. 4. Seminars for parents regarding career development and guidance by our expert Ex-students who are specialized in various fields. THE EXECUTIVE COMMITTEE MEMBERS OF THE ALUMNAE ASSOCIATION OF ST.KAREN’S HIGH SCHOOL. 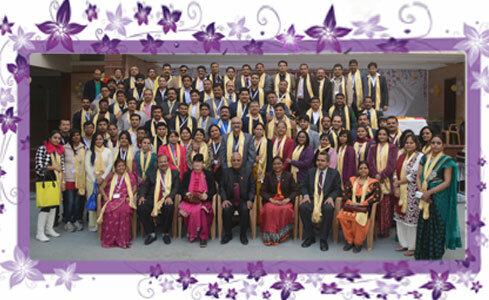 ST.KAREN’S HIGH SCHOOL Alumni Association of Patna is an organization that has been initiated with the purpose of reaching out to all the Ex-Karenite across the globe. The Association will provide resources in the form of scholarships, mentoring, motivational speaking, financial support and other forms deemed necessary to students of St. Karen’s High School. The Association will organize Social events, Get-togethers, publish newsletters / magazines and raise funds for the school. It provides a variety of benefits and services that help alumni maintain connections to their School Mates, Friends, & Teachers. It serves the student body of the school through philanthropic and other missions. It also seeks to create positive learning and living experiences.